We specialise in music for any kind of reunion from high school class reunions to family reunions! Reunions are great because we love to provide music to bring back memories plus mix in some of the new stuff to create new memories. Most school and family reunions only need something good and simple to turn the gathering into a party atmosphere like a DJ with a sound system and a good variety of music. That’s what we excel in, affordable entertainment for all kinds of celebrations! Our sound system is state of the art, big and as loud as you do (or don’t) was it to be! It’s guaranteed to pack quite a punch when it’s time to party! High School Class Reunions are always so much fun because you get to see people you haven’t in ages. Sometimes that’s a good thing and other times it’s not so good! LOL! Regardless, when you receive an invitation for an upcoming high school reunion, you can’t help but wonder what your former classmates are up to and what they look like nowadays. Now imagine how boring the high school class reunion would be with absolutely no sound? With no DJ to play background music during dinner or for when the food is finished the class reunion wouldn’t last that long, let alone leave much of an impression. The challenge that most of those who attempt to organise high school reunions make is just basic math in many instances (how to afford everything). Firstly you need to choose an appropriate venue, then a date that is most likely to work for the bulk of the attendees, catering, some decorations and so on. Typically once you’ve finalized all these details you can start to think about the entertainment but WHOA! What happened to the class reunion fund? This is when most bands are ruled out because they’ll cost more so DJs are sought out but once you start calling around you’ll begin to realize that some DJs are just as expensive as a band! This is where we come into play. Our service is PREMIUM but our prices are highly reasonable and competitive. Why risk your next school reunion when you can have a DJ with professional equipment and a world-class selection of music come in and fill the void plus break the ice by encouraging some good old fashioned dancing (possibly even singing)? The challenge that most family’s run into when planning a reunion is simple economics, how to afford everything! Firstly, you need a place to hold the family reunion, then a date, some food, some decorations and so on. Typically once you’ve finalised all these details you start thinking about how to tie it all together but WHOA! What happened to the fund you put away for the family reunion? This is when most bands are ruled out because they’ll cost substantially more than most expect so DJs are sought out to provide music and entertainment but once you start calling around you’ll begin to realise that some of them can be just as expensive! This is where we come into play. Our DJ’s are just as qualified as most others but they also have full-time jobs during the week and so don’t price gouge on the weekend. Our rates are very fair and our equipment far better than you might expect for the price. We put a significant portion of our profits back into equipment etc. Despite our very reasonable fee, we come very well equipped. Projectors, lighting, 18″ subs with 15″ speakers on top, another high powered 12″ speakers that can be used as a fold-back should some people wish to sing or can be used for placement is odd-shaped rooms to even out the sound (in an L-shaped room for example). We carry a laser equipment as well, highest quality Shure wireless mics, a screen on a stand that can be used for karaoke songs or for people to read speeches from etc. Our DJ’s are highly qualified with our primary DJ, Dean, who is an award-winning commercial radio DJ with his own national networked program. He is also a former stand-up comedian so it is fair to say that is hosting/compering ability is top rate. Don’t pay more than you have to, choose us for your next family reunion and get more party for your money! 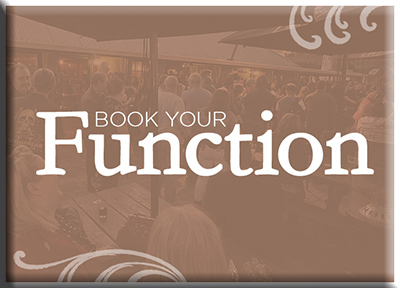 To get started click here to receive a price quote or call us on 0409 240660 to talk with someone who can answer all your questions and tailor the ideal night for your gathering.